Priced from 39,90,000 baht (INR 74,95,467.81) in Thailand. 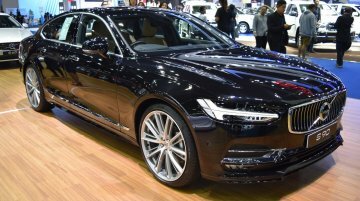 Volvo showcased the Volvo S90 at the 2017 Bangkok International Motor Show held from 27 March 2017 through 9 April 2017. The Volvo S90.. Priced at 28,00,000 baht (INR 52,61,113.28). 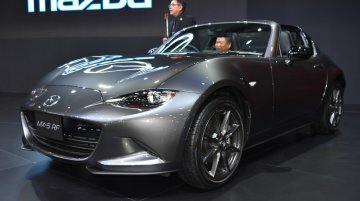 The Mazda MX-5 RF had its global debut at the 2016 New York International Auto Show and launched in Thailand at the 2017 Bangkok International Motor.. Showcased in the Deluxe version. 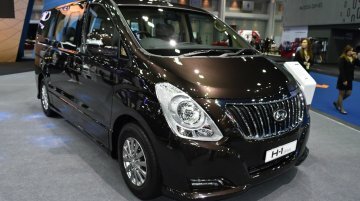 Hyundai displayed the Hyundai H-1 at the 2017 Bangkok International Motor Show that opened last month in Thailand. 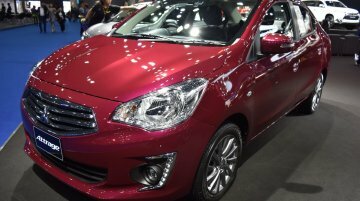 The Hyundai H-1 is available in three..
Mitsubishi Mirage's sedan version makes an appearance at the Thai show. Mitsubishi showcased the Mitsubishi Attrage at the 2017 Bangkok International Motor Show held from 27 March 2017 through 9..
Is Ford's flagship model in Thailand. 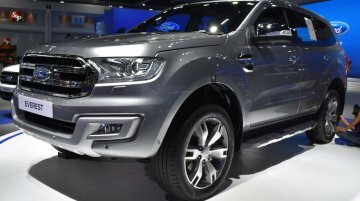 Ford showcased the Ford Everest (Ford Endeavour) at the 2017 Bangkok International Motor Show that was held from 27 March 2017 through 9 April 2017. The.. Priced from 7,68,000 baht (INR 14,38,056.12). Nissan displayed the Nissan Navara Black Edition at the 2017 Bangkok International Motor Show that was held from March 27 through April 9. The..
MG's smallest model displayed at Thai show. 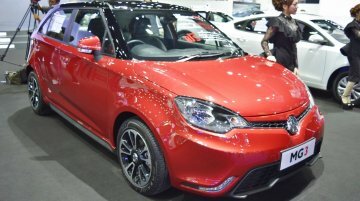 MG Motor displayed the MG3 at the 2017 Bangkok International Motor Show that opened last month. 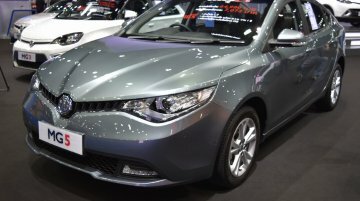 The MG3 is the smallest model in the company's.. Compact fastback priced from 9,08,000 baht (INR 17,04,622.77) in Thailand. At the 2017 Bangkok International Motor Show, MG displayed the Fastback version of the new MG6. The facelifted was..
SAIC-owned brand showcases its Honda City rival. MG showcased the MG5 sedan at the 2017 Bangkok International Motor Show that took place from 27 March to 9 April, 2017. The sub-compact sedan was.. Priced at 16,39,000 (INR 30,75,987.45). Toyota showcased the Toyota Camry ESport at the 2017 Bangkok International Motor Show that opened last month. 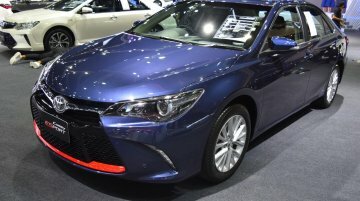 The Toyota Camry ESport's most..
Could be one of the cars lined up for India. 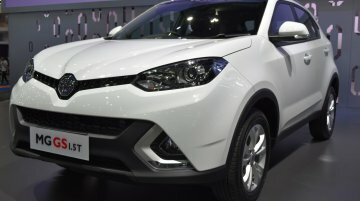 MG displayed the MG GS among many other models at the 2017 Bangkok International Motor Show. 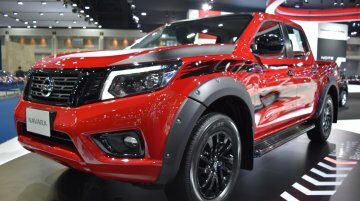 The compact SUV was launched in Thailand last year and.. Priced from 11,29,000 baht (INR 21,05,650.4). 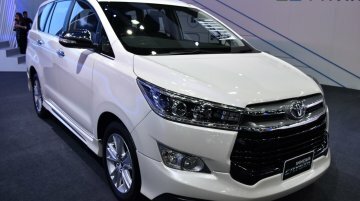 Toyota displayed the Toyota Innova Crysta at the 2017 Bangkok International Motor Show that opened last month. The Toyota Innova Crysta was launched.. Priced from 9,39,000 baht (INR 17,49,541.87). 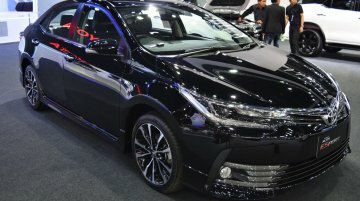 Toyota showcased the 2017 Toyota Corolla ESport at the 2017 Bangkok International Motor Show that opened last month. The 2017 Corolla ESport was.. 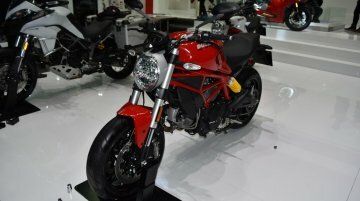 The Ducati Monster 797 traces its origins to the 2013 Ducati Monster 795. The 2017 Ducati Monster 797 has been showcased at the 2017 Bangkok International Motor Show. The bike, first showcased at.. The Yamaha R3 competes with the Kawasaki Ninja 300. 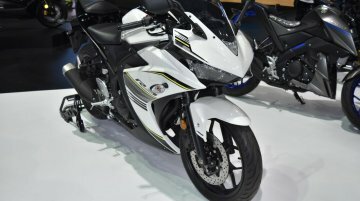 The 2017 Yamaha R3 has been showcased at the Bangkok International Motor Show. The bike gets several cosmetic updates. Mechanically the.. The Honda Africa Twin is set to be introduced in India as a CKD. 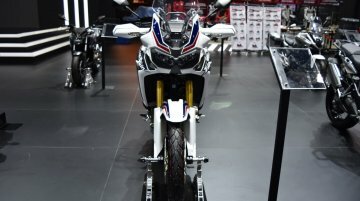 Honda Thailand has showcased the 2017 Honda Africa Twin at the Bangkok International Motor Show 2017. The Kawasaki Versys X300 looks significantly different from the rest of the Versys range. 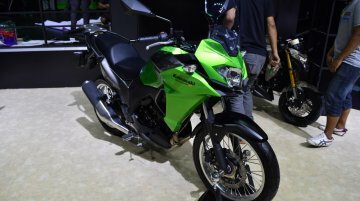 Kawasaki Thailand has showcased the new 2017 Kawasaki Versys X300 at the ongoing Bangkok International.. The Royal Enfield Himalayan uses a new 410 LS engine. 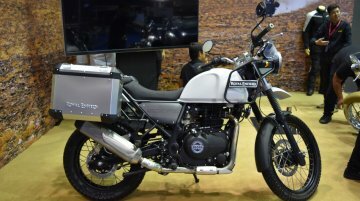 Royal Enfield Thailand has launched the Royal Enfield Himalayan at the ongoing Bangkok International Motor Show 2017. The bike was earlier conf..